Stock up for your Next Holiday Feast! 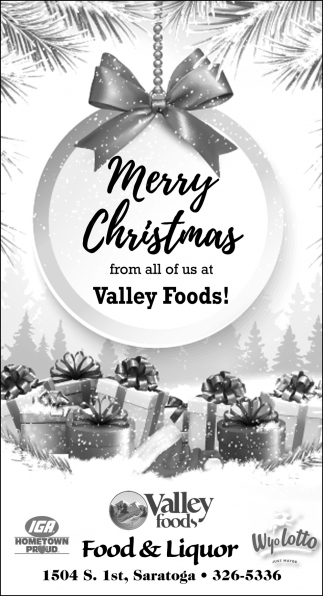 Valley Foods for All Your Grocery Needs! 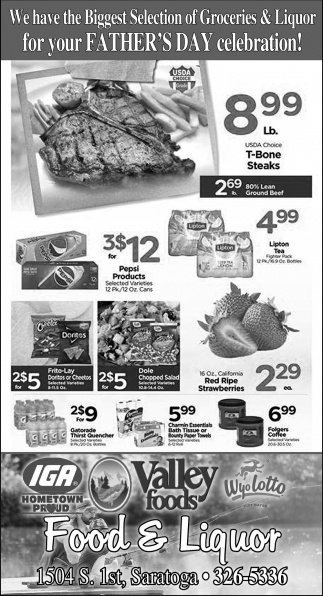 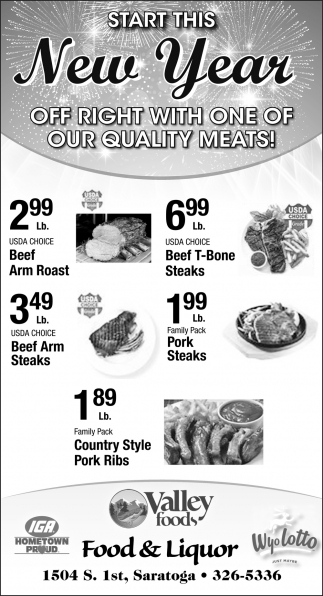 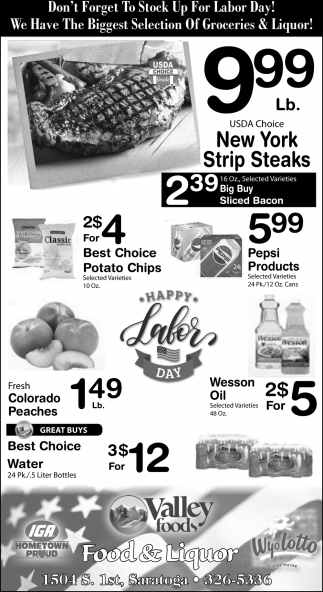 Don't Forget to Stock Up for your 4th of July BBQ! 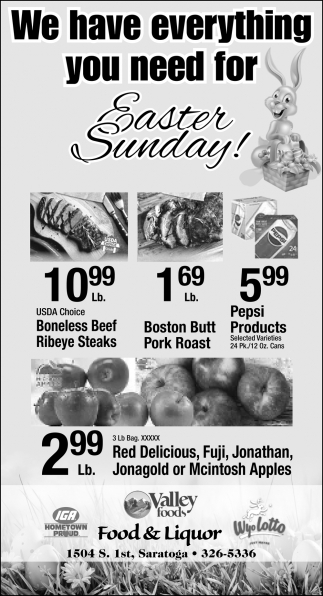 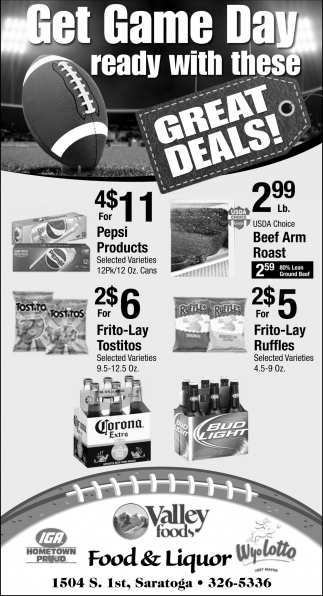 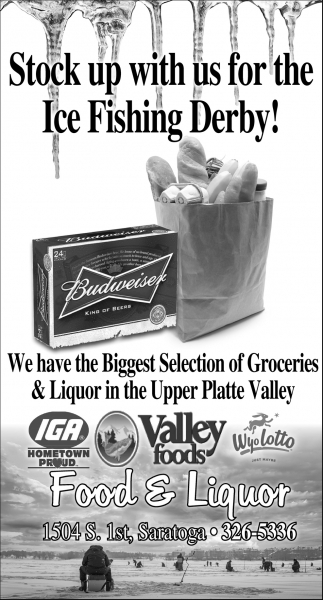 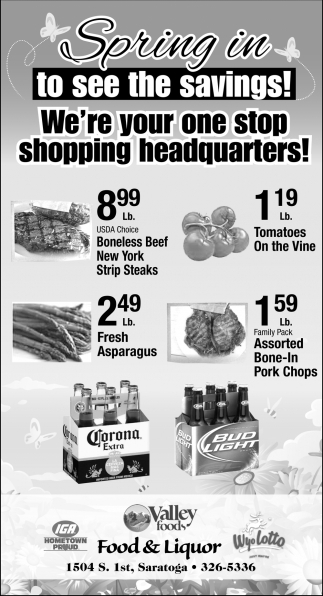 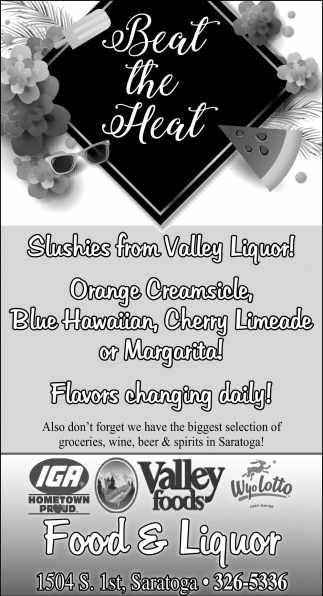 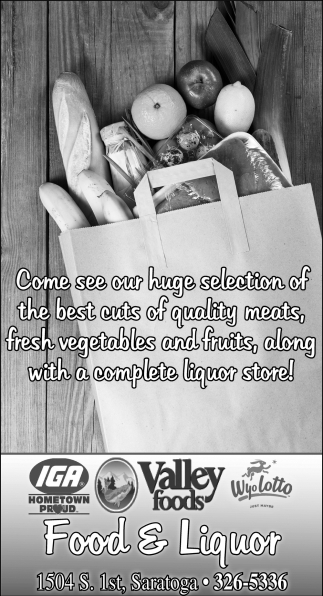 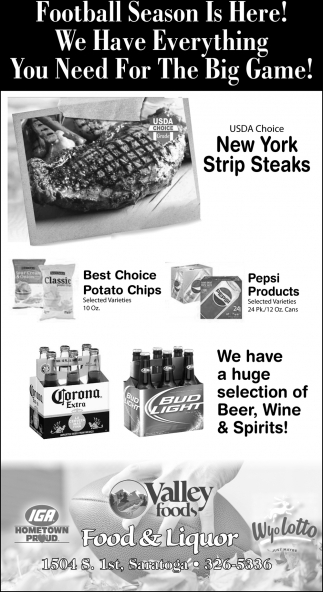 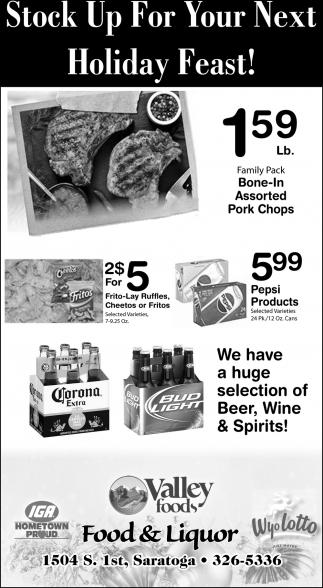 We Have the Biggest Selection of Groceries & Liquor for your Father's Day Celebration! 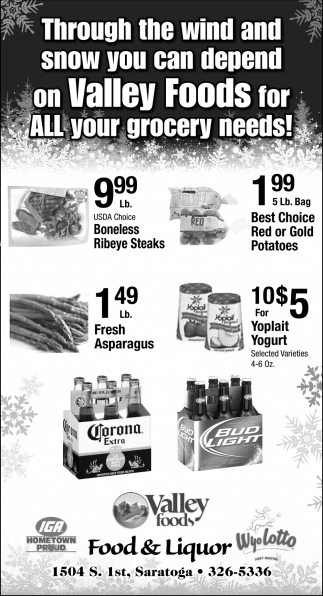 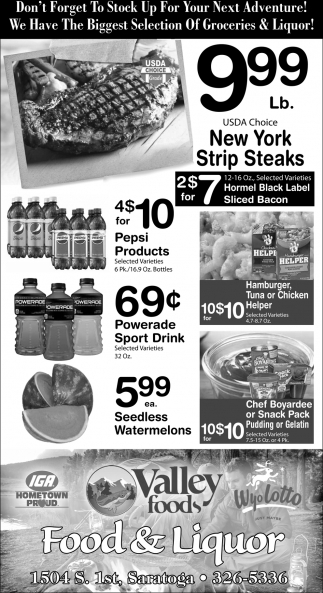 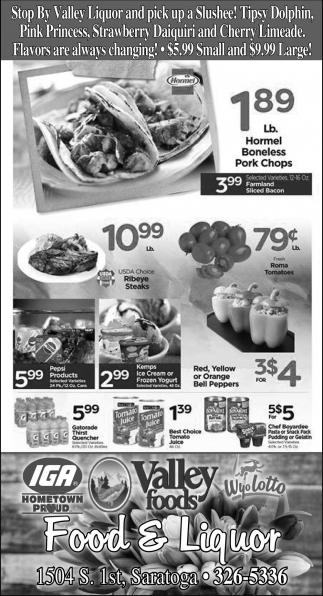 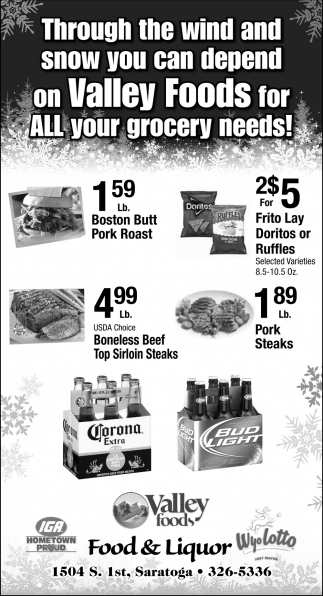 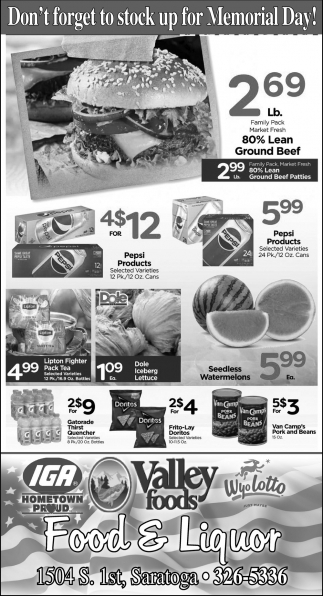 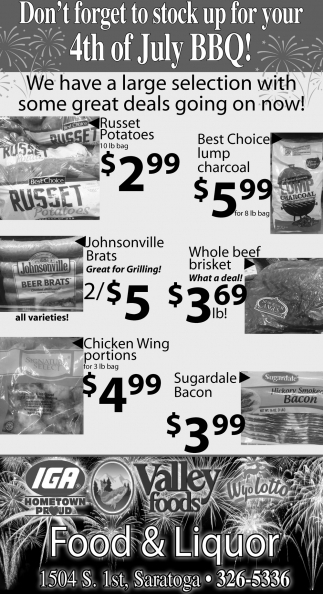 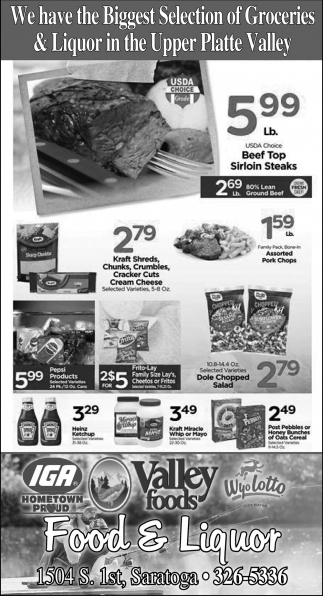 Stock Up With Us for The Ice Fishing Derby!